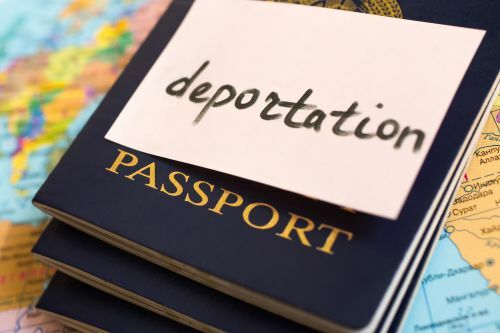 Dr Adrienne Yong, Lecturer in Law and researcher in the City Law School's Institute for the Study of European Laws, examines the recent spike in the deportation of EU citizens from the UK. Despite the fact that EU citizens enjoy the right to move to and live in other member states, the UK government has recently ramped up efforts to deport them. In the year ending June 2017, 5,301 EU citizens were deported from the UK, a 20% rise compared to the previous year. This is a troubling figure, especially considering that the law supposedly protects EU citizens from deportation. The charity, Bail for Immigration Detainees, has noticed a rise in EU nationals involved in deportations. 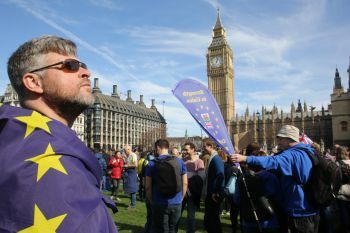 As many EU citizens remain anxious about their future in the UK after Brexit, the government has unfortunately sent mixed messages as to whether EU citizens will enjoy the same rights in the UK once it leaves the EU, or if they will simply be deported. Debate already exists in the UK about whether certain individuals “deserve” to be expelled, from people who are not working but seeking welfare benefits, to people who are convicted of criminal activity. Now more questions are arising about whether just about anyone can be deported. Adding to the distress is a recent government letter, sent on behalf of the Home Office, to a Romanian national. It advised him to consider leaving the UK to “avoid becoming destitute”after he was refused emergency accommodation. The UK’s refusal to provide him with emergency accommodation should not on its own amount to him being asked to leave, especially not under EU law which states that citizens are given the right to live and reside freely in any member state. By suggesting he leave, it appears that the Home Office was trying to restrict his freedom to move and reside. The letter added to the already hostile political atmosphere in the UK, and does nothing to allay concerns for worried EU citizens. The law surrounding deportation in the EU comes from Article 28 of Citizens’ Directive 2004/38 which states that EU citizens can only be deported from another member state for reasons of public policy or public security. There are only three situations in which deportation is allowed. The first requires that alongside the public policy or public security reasons, deportation can only be allowed if adequate consideration of various factors are taken into account. These include how long the person has been living in the country, their age, health, family and financial situation, and how well they’ve integrated into society. 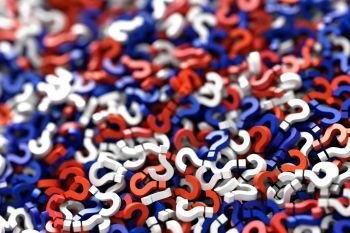 The second situation concerns permanent residents, those who have have lived in a member state for five years or more (you are not required to have documents proving this, though it is necessary for British citizenship applications). For permanent residents, only serious grounds under public policy or public security will justify expulsion. What a “serious” ground is must be justified by the member states, but there is no guidance in the directive as to what constitutes “serious”. It must relate to a fundamental interest of society. These include preventing unlawful immigration, maintaining public order, preventing tax evasion, countering terrorism and preventing repeat criminal offences. The third situation is for those who have been in a member state for the last ten years – or minors. In these cases, only imperative grounds of public policy or public security will be accepted. Again, “imperative” grounds are up to the member states to justify and the directive offers no definition. However, it is clear that they are stricter than “serious” grounds. Therefore, the longer you have been in a country, the more difficult it becomes to deport you. Case law has accepted being involved in a drug dealing organisation as an imperative ground of public security, but the general meaning of “imperative” remains unclear. Despite the fairly high level of protection under these provisions, the UK has been known to interpret the public policy and public security reasons for deportation quite broadly, in some cases arguing that rough sleeping counts. This decision is now being challenged before the High Court. The EU has also not taken kindly to this behaviour. The European Commission is currently investigating whether the UK is actually targeting EU nationals and if so, the UK would be in breach of its obligations as an EU member state. In its letter to the Romanian national, the Home Office suggested he leave so as to “enjoy access to all your ECHR [European Convention on Human Rights] without interference”. But this seems a strange suggestion, given that the UK is also bound by the ECHR and the government stated earlier this year that are “no plans to withdraw” after Brexit. It should, therefore, also be committed to conferring such rights without interference. Article 8 of the ECHR protects the right to private and family life and deportation has previously been deemed an interference in this. The Home Office’s suggestion that EU citizens should go elsewhere to seek better protection makes it appears as if the UK wants to wash its hands of anyone burdensome in their territory, and certainly of its obligations under the ECHR. Laws exist to protect EU citizens from being deported. Yet, the Home Office seems to want to downplay the obligations that it is bound to ensure under EU law, but also under the ECHR. Attempting to shirk its responsibilities even before Brexit has occurred does not set a positive precedent for the protection of EU citizens’ rights going forward.